It’s a beautiful thing when a potentially lovely but underutilized and neglected site, in this case a parcel along the Millers River just outside of Orange, Massachusetts, is given new life. That’s exactly what’s happening at the Erving Paper Mill property site in Orange, Massachusetts, dubbed “Riverside”. Under Greenworks direction, the site is on its way to being transformed into an extreme outdoor recreation area which will also boast a river ecology educational node and encompass a stunning river walk. Miller’s River is nestled in the center of an urbanized rural town undergoing a renaissance. Or, slightly off-center actually as the Town developed two blocks from the River when 19th century manufacturing mill industry populated its banks. Greenworks is part of a consortia ramping up development of this semi-abandoned zone into recreational area at a time when the banks of the River parallel to the towns’ core are now beginning to flourish as centers for activity. The dreams of residents and architects alike are starting to take hold. Establishments such as the Orange Innovation Center, an up and coming craft brewery, a boathouse offering recreational youth programs, a bed and breakfast, all are creating a momentum for the entire area. The outdoor recreation area will be both a haven and a place of adventure for those who crave the extreme. 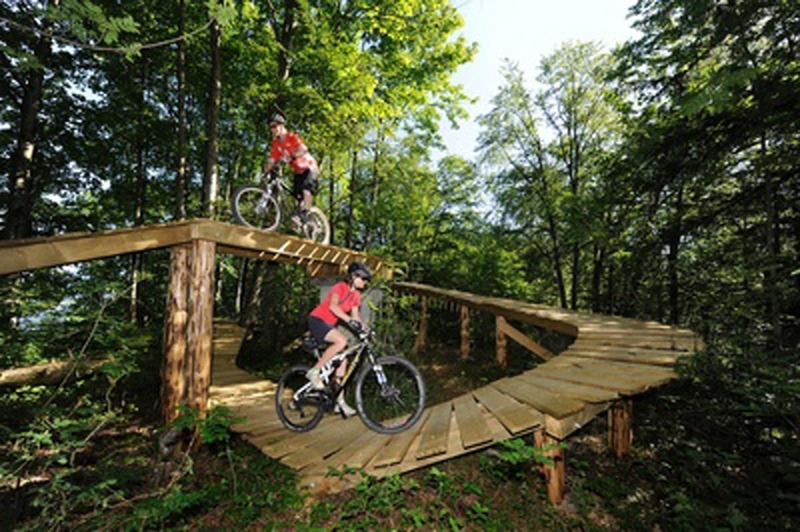 A bike track with aerial sections, extreme snow shoeing loops, an Angler’s ledge, kayaking, bridge climbing and elements of a ninja style obstacle course are just some of the ways that Greenworks is planning for guests to have an exceptional time. The area will remain open year-round, with opportunities in the consideration such as technical ice climbing courses and a short cross-country skiing trials and trick section. Bicycle pump tracks of the kind Greenworks is fomenting are usually found in the Midwest. 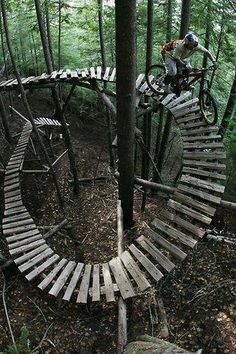 They use mountain bikes on sweeping planked tracks to generate a flow, sometimes banking, sometimes narrowing, and sometimes “pumping” over obstacles such as logs and rocks. They are intergenerational fun, and on the cutting edge of urban and rural sport. 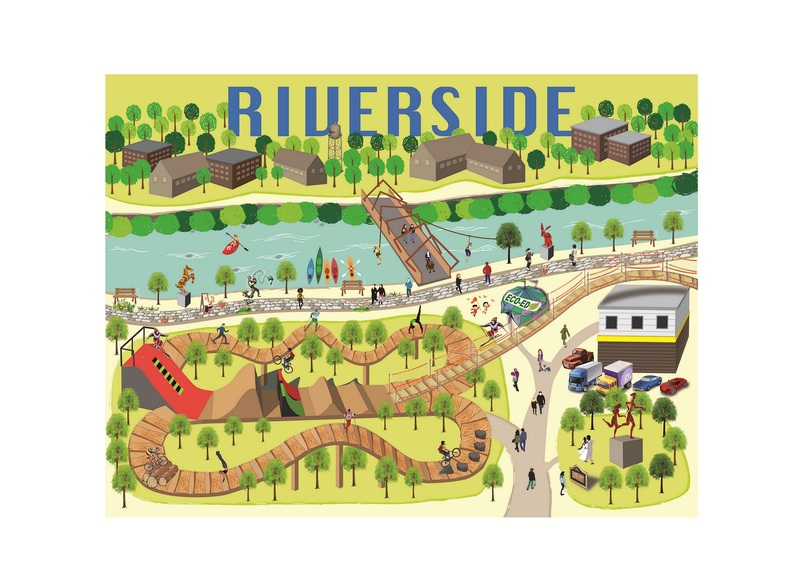 Recreational development in the form of one integrated park, Riverside, will complement the areas newly installed or anticipated hiking, exercise and equestrian trails. It will benefit overall public health, pride and prestige in the area, and employment. Orange is already known for its Jumptown parachuting operation, why not take air in some other form as well? Another unique features will be the trestle bridge. Formerly a river crossing for freight trains carrying materials for and from the historic mills, the refurbished and decorated structure will furnish pedestrians a scenic path over Miller’s River. Local organizations such as Seeds of Solidarity see the possibilities to make it a living, flower and plant draped structure; adrenaline types see it as an origination platform for zip lining and bridge scrambling. 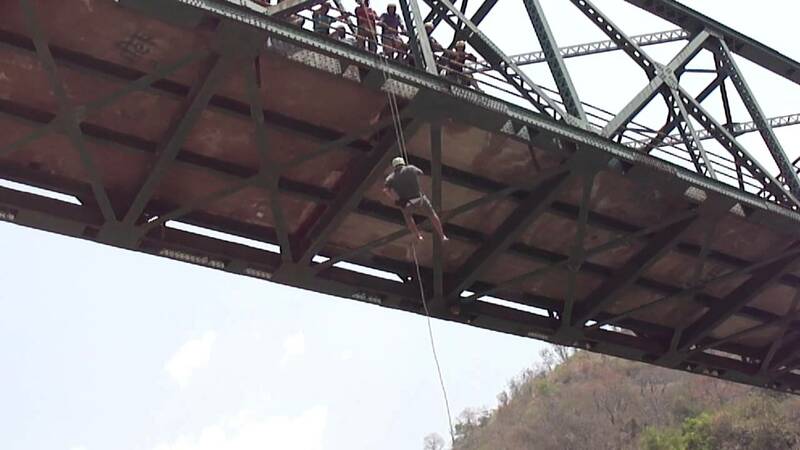 It may be the only place in Massachusetts to showcase bridge slithering, which originated as an extreme sport in Nepal and once complete will feature climbing off of, alongside and under this handsome iron structure. On the banks of the River is an outcropping forming the basis for a boat launch for Paddlers to put-in and explore the Miller’s downstream of the hydro dam in Orange. Currently there is no ready access from the Orange Community boathouse up stream on the east side of the dam. Flowing gently at first, the River makes its way to the Connecticut River, where one can encounter rapids and big water play in the right seasons. In addition to the more extreme outdoor activities on the Erving Paper site, a separate Greenworks/ Town of Orange collaboration, known as the Riverwalk, is taking rapid shape and will soon be rolled out. Extending more than a thousand feet along the Miller’s River, the walk overlooks the river on the cusp of a hurricane barrier built in the late 30s. The River Walk will also double as an art exhibit. Guests strolling down the trail will find an array of curated sculpture art placed along the path. Despite all of the activities in the works, and some not yet imagined, Riverside will be a place for conservation education. Many of the activities will either be over the trees, or under the trees, leaving a minimal impact on the woods. Visitors and students can experience river ecology hands-on, vital to environmental stability. There will be use of solar, panels installed on the roof of Erving Paper’s recycling warehouse, and composting toilets, all making for a demonstration green complex as well as a destination for adventure. These plans are becoming a reality thanks to the collaboration between Greenworks, the Town of Orange, and Erving Paper. For years, the Town of Orange has been encouraged by its citizens to ignite a riverfront recreation area, and they took bold steps such as building the serene Riverfront Park with its circular walkways, native plants and permeable pavers. The Erving property, and other parcels nearby, throughout that time remained a graffiti bedecked eyesore, not pursued because it was in private hands and unfortunately known as a location for recreational drug use and impromptu pit fires. The first step in Riverside’s actualization began October 15, 2013, at an Owners Mill Summit held at Johnson’s farm. There, local mill owners were informed about how they could help the community by donating, leasing, and licensing their property for community use. Ted Carmen, a master planner, told how he and his firm had turned around towns much like Orange. The event was by the Franklin Regional Council of Governments, the Town of Orange, and Greenworks. At the summit, Morris Housen, owner of Erving Paper, recognized the Orange community’s need for a recreation center and began collaborating with Greenworks on the project. As a company, Erving Paper has been on the cutting edge of green sustainability. Their use of recycled paper content, alternative energy, efficiency and waste disposal is ahead of many other companies. Housen himself has a strong track record of supporting community programs by making land available for recreation and conservation purposes. He would like to see the towns of Athol, Orange and Erving connected through the Miller’s River and a string of innovative projects involving landscapes and recreational paths and pockets. An area known for its natural amenities, and one that can establish recreational and cultural opportunities for the future, is ideal for attracting and retaining a diverse and evolving workforce. In addition to his commitment to the community, he is also an active participant in recreational activities. He and his family are avid outdoors people and Housen has trekked across mountains and undertaken technical rock in the South American Andes and elsewhere. While filming for Discovery Channel in Pittsburgh in 2014, Jonathan Schwartz, President of Greenworks, visited an indoor, inner city bike pump track called the Wheel Mill. His plan was to recreate this experience for the Orange Community inside an underutilized mill warehouse. Housen agreed to allow Greenworks to use the old Erving Paper warehouse as a bike pump track, but after Greenworks found comparable warehouse space to store their recycled paper. Due to sudden high competition for warehouse space in the area, and other mill owners holding out for higher rents or contracts to grow medicinal marijuana, Greenworks was not able to oblige. New plans emerged and Greenworks and Housen began to work on a private-nonprofit partnership for an outdoors recreation area. Housen himself offered the vision of aerial, suspended tracks. Erving Paper has agreed to license out the designated property for Greenworks use. This after a process which involved solving a myriad of issues of liability, etc., in what the Greenworks legal team contends is a template for non-profit collaboration with a for-profit company. Part of a Massachusetts Department of Conservation and Recreation DCR Trails Grant was earmarked for a project called “Re-centering the River” developed by inspired citizens, Greenworks, and the town of Orange’s newly founded planning department. Greenworks relied heavily on national experts on accessibility for guidance. Most of the funds were allocated, in the spring of 2015, to purchase an accessibility dock for installation at the Orange Community Boathouse, but the remainder is earmarked for surfacing material to cover the first leg of the River walk nearest the town. Greenworks held an online auction for late in 2014 where businesses and individuals alike donated fabulous items iconic of Greenworks mission and the area of North Quabbin, along with exotic experiences to help kick start the project. Bidders won experiences like a behind the scenes immersion on a film set in Kollywood, India and a one week stay at a B and B in Orange where every room will be themed to highlight each outstanding area attraction. Donations came from members of the community looking to make a difference and supporters of Greenworks mission far and wide. Early funding came from the Phyllis Anthony Trust with funds administered by the Tides Foundation. Pro Bono in-kind business and community support has been paramount. Perhaps the best example to whit is when Surveyor Ed Barry extended his professional skills by creating a topographical map of the area to aid in planning and execution. Perhaps the most exciting component to the project is its effect on Orange and the surrounding communities economically and culturally. Schwartz believes Riverside will be a benefit to the entire community.